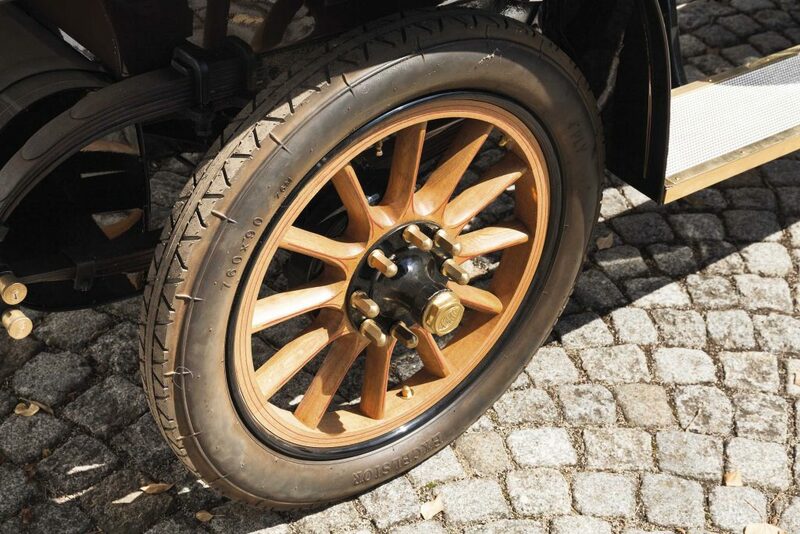 Production year 1911, chassis-no. 18275. 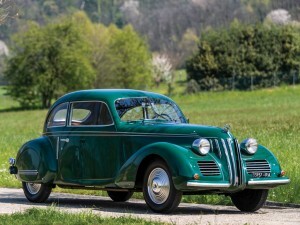 4-cylinder in-line motor with 1539 cm³ (94 in³) engine displacement and 18 hp. 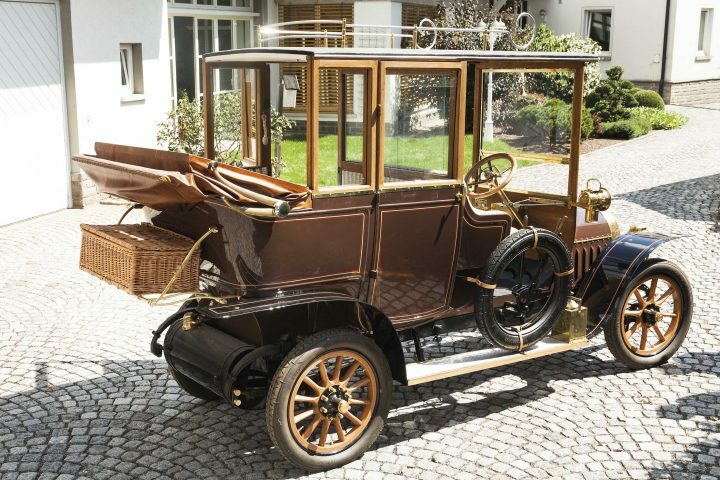 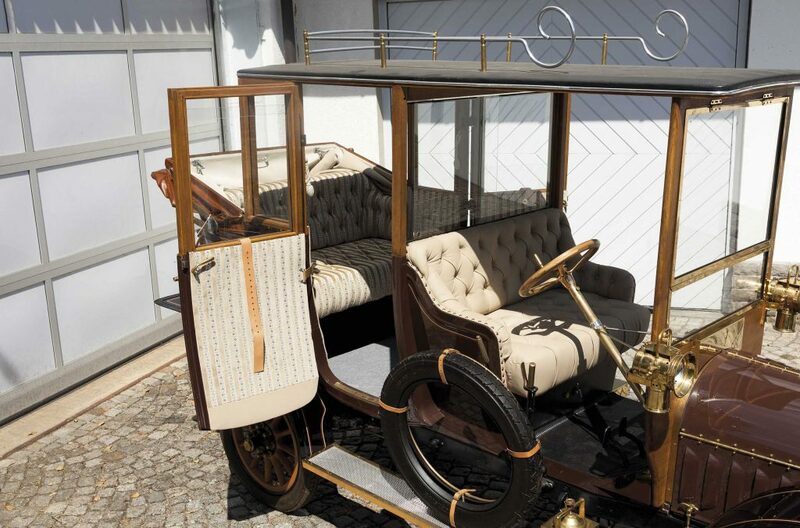 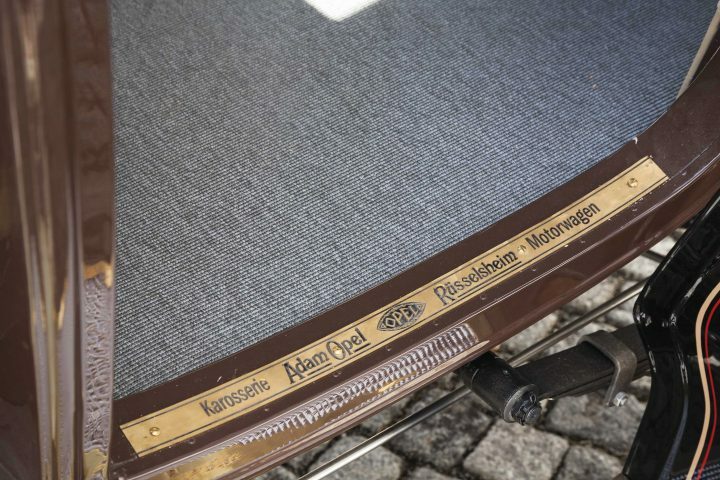 Length 3.80 m, width 1.45 m, height 2.20 m. Existing documents for possible legal use in road traffic, operable motor can be started via crank handle, requires, however, some physical effort.This automobile based on the Opel-Motorwagen 6/16 built between 1911 and 1915 possesses an only partly closed wooden body construction whose rear part of the roof can be opened like a soft top’s. The existing frame was completely overhauled, the motor newly honed. 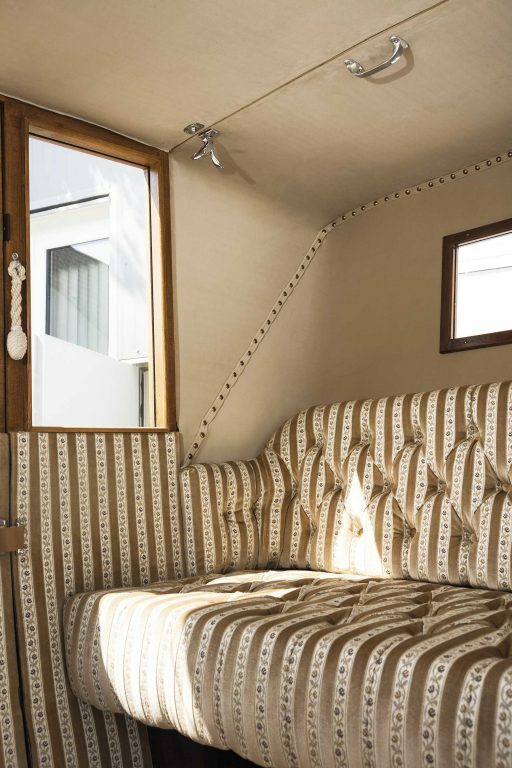 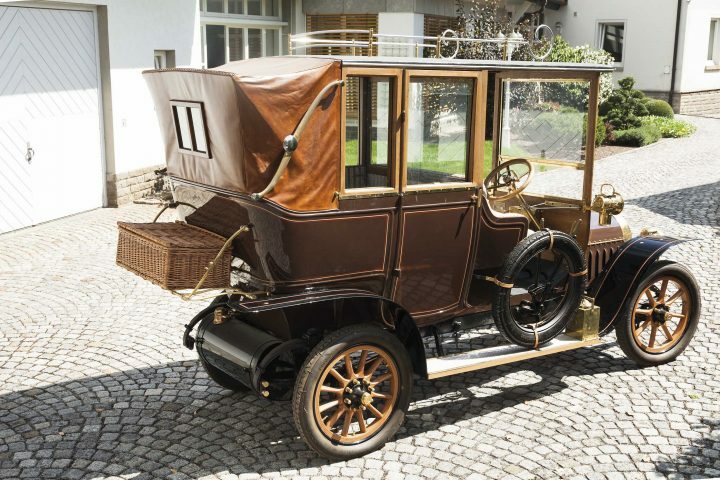 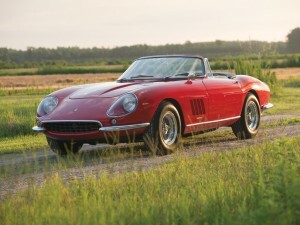 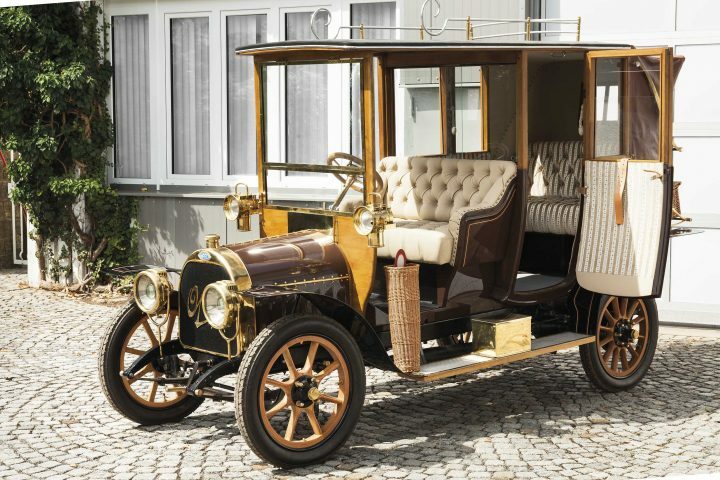 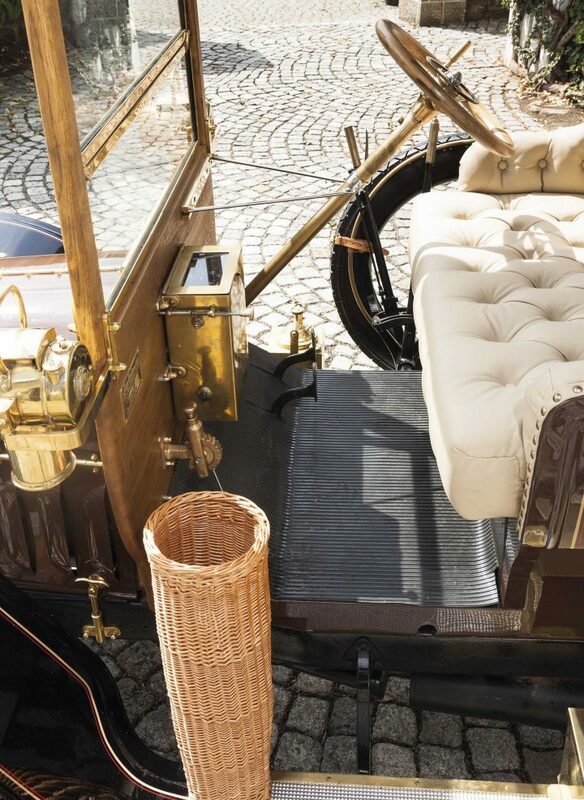 The body construction was completely rebuilt according to the old “Landaulet” original including the wooden spoked wheels . 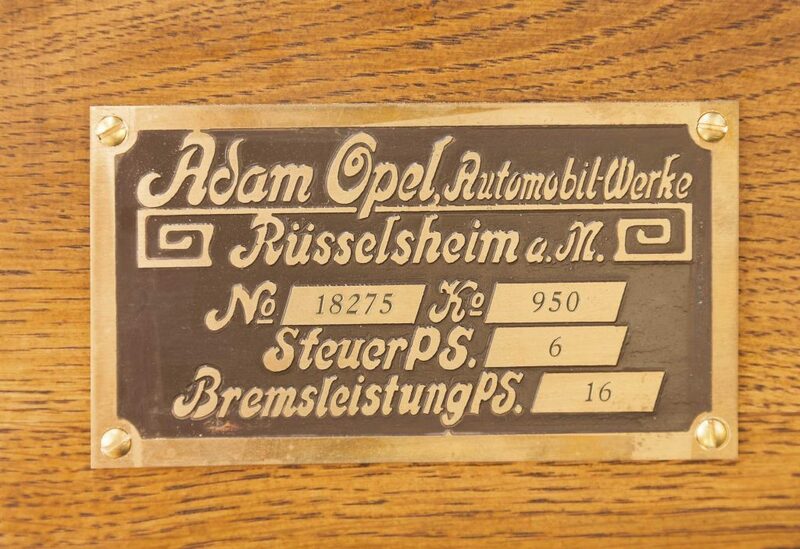 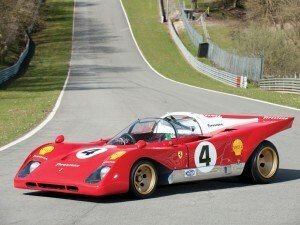 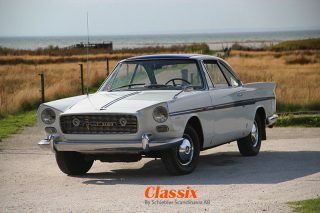 Non available Opel genuine parts were replaced by appropriate parts of other manufacturers true to the originals. 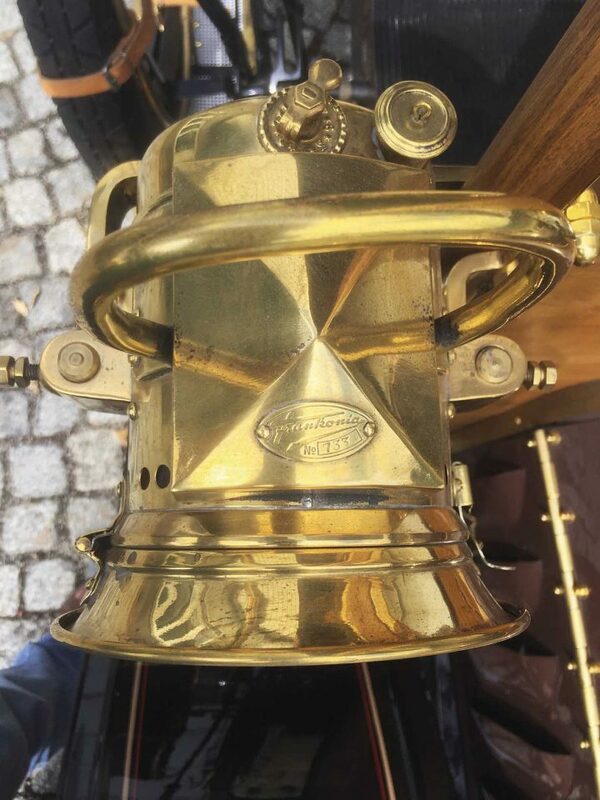 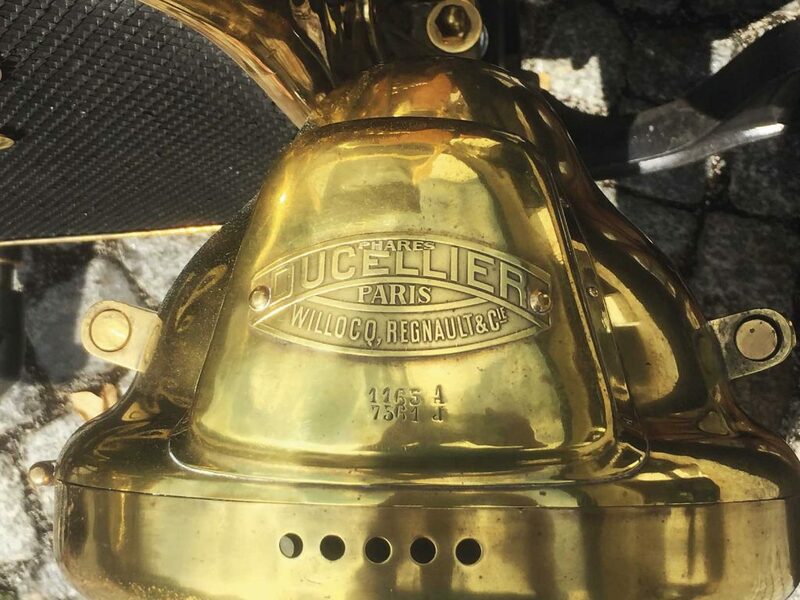 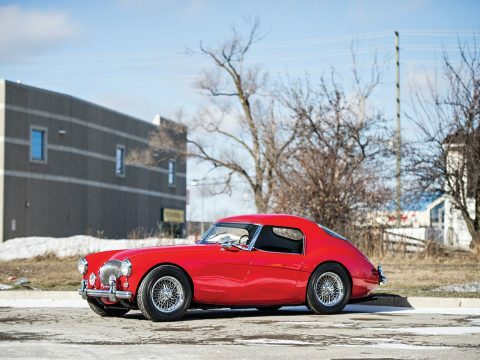 As for example the brass carbide headlamps from the French manufacturer “Phares Ducellier”. 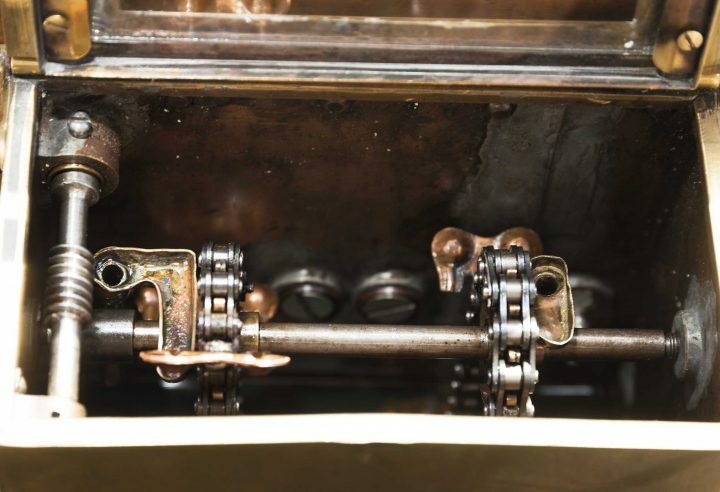 One speciality: Its immersion lubrication called “Baggerölung” in Opel terms – the driver operates the lubrication of the crankshaft from an accessible container inside the vehicle. 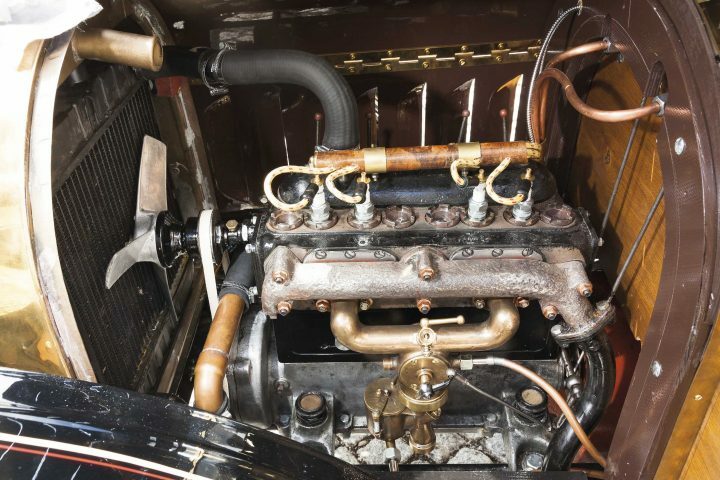 Small dippers, each with a volume of one drop of oil and driven by the crankshaft, supply both lubrication points at the front and the rear of the crankshaft via a separate pipeline. 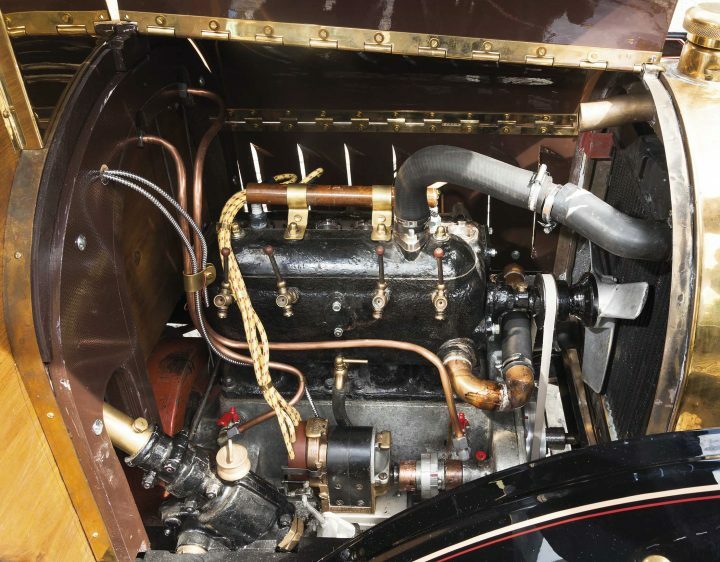 If there is any smoke, the engine has too much oil and the immersion lubrication will be turned off until the excess oil is used up.